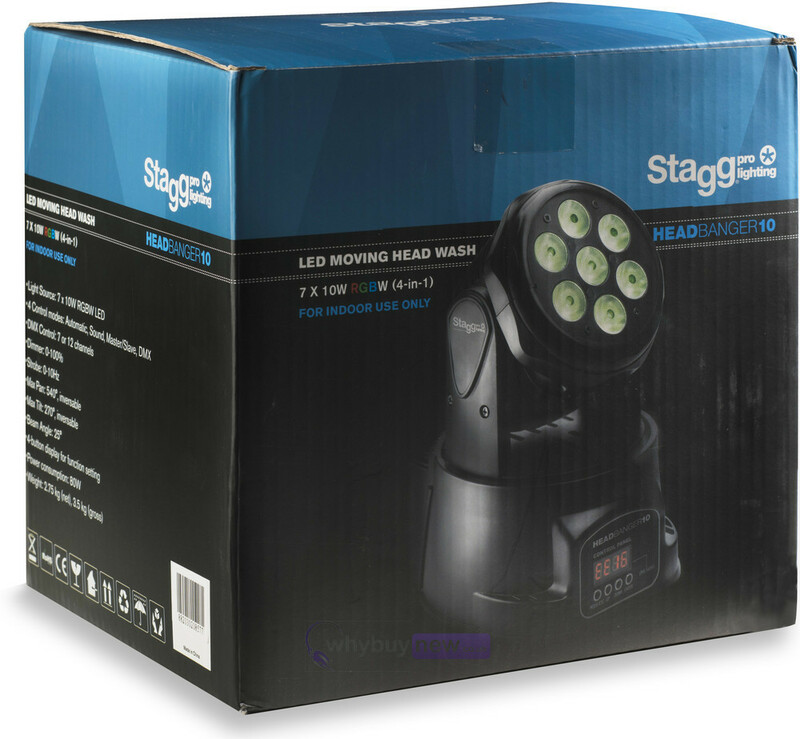 The SLI MHW HB10-0 Pro Lighting HEADBANGER 10 from Stagg is a compact moving head wash light with 7 x 10W RGBW (4-in-1) LED chips, providing a huge output and smooth colour mixing in a small package. 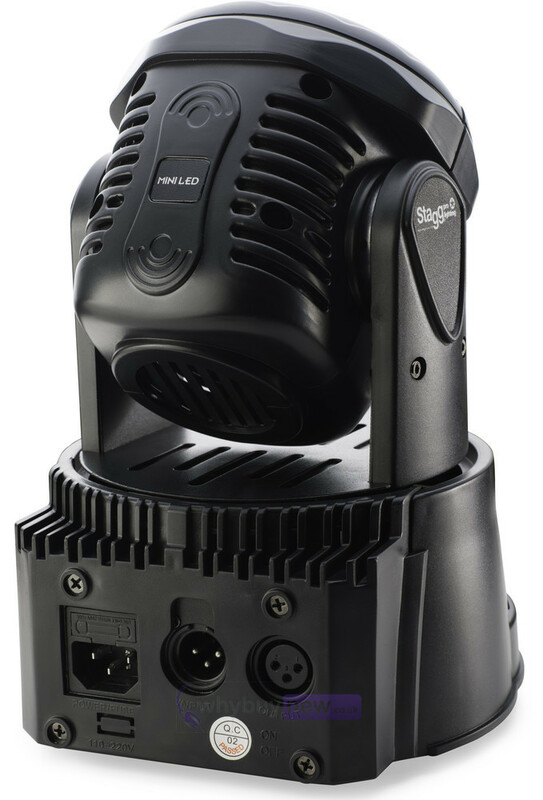 A wide variety of user selectable modes can be run - DMX auto speed or sound (via integral microphone with adjustable sensitivity) and master/slave linking available. 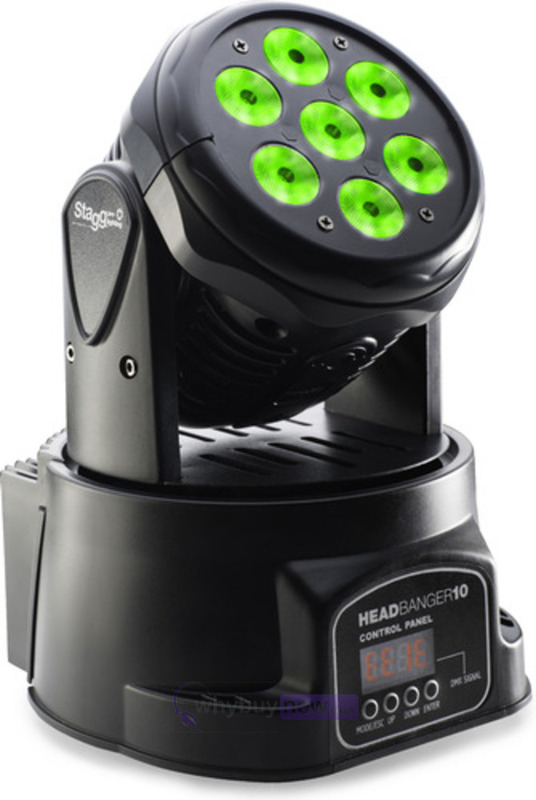 For the more advanced user the HeadBanger 10 offers DMX-512 protocol with 7 or 12 channel control modes: dimmer, strobe (0-10Hz), pan (540¡ max), tilt (270¡ max), pan fine, tilt fine. The unit is packed with premixed colour macros - red, green, blue, white. 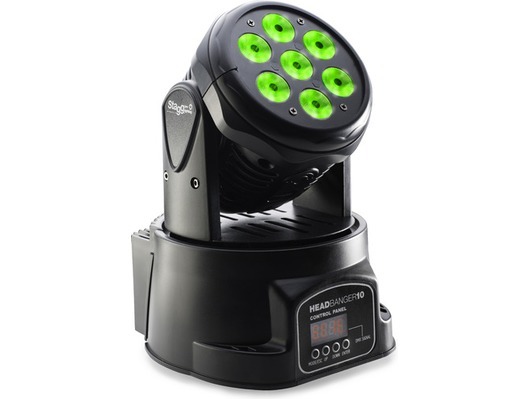 Programming of the unit is quick and easy through the 4-digit LED display and 4 push-buttons and DMX linking is done with 3-pin XLR connectors. 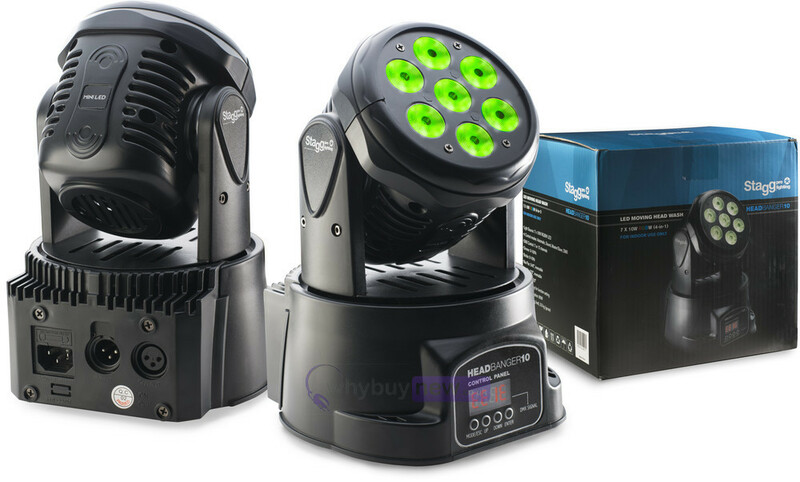 The Metal housing has a hanging bracket (truss or clamp not included) and low-noise operation is provided by the use of high grade Delta Electronics cooling fan. Indoor use only.